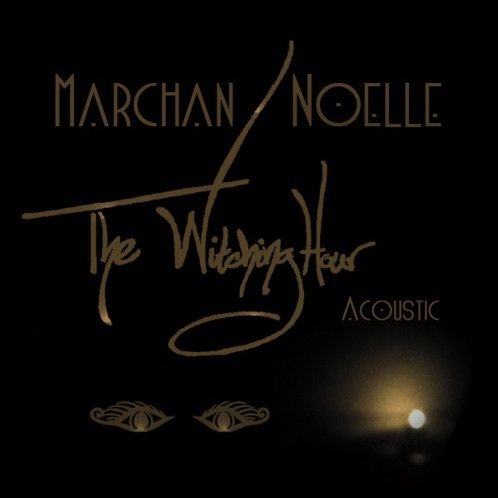 MARCHAN NOELLE, singer, guitarist, songwriter, recently debuted her album THE WITICHING HOUR (ACOUSTICS), combining blues and acoustic rock sound. Her soulful but edgy sound tantalizes the ear, leaving you wanting more. Her unique and refreshing sounds enraptures the beat of your heart. THE WITCHING HOUR is a smooth, sultry rhapsody, easily igniting depth of soul-filled emotions. The track is a kaleidoscope of blues, indie, and rock that quickly draws in the listener. THE WITCHING HOUR acoustics evokes the heart- beat, reflecting on each subtle stage of love. It encompasses passion, hunger, and drive in the vocal and acoustic deliver of Marchan Noelle. Surely, one will be taken to a passionate haven as they engage in the rhythmic lyrics. Listen to Marchan Noelle The Witching Hour, Streaming on Soundcloud. MARCHAN NOELLE is an accomplished singer, guitarist, songwriter, and entrepreneur. She recently released her album THE WITCHING HOUR (ACOUSTIC) at The California Coast Road Trip Tour parallel with 100,000 Poets for Change, fundraised for charitable organizations. The 100,000 Poets for Change blog has chronicled MARCHAN NOELLE’S prolific performances and YouTube videos show many of her performances during the tour. The track from her album Mystery Man was selected featured on the Women of Substance Radio Podcast. In February, it was named 5 in the Top Indie Songs. MARCHAN NOELLE currently performs weekly at the prestigious University City Walk Hollywood. She recently established 2nd Generation, Hippie, LLC. Keep up with her music, news, and business projects by visiting her Marchan Noelle on her Official Website at www.marchannoelle.com. CONNECT with MARCHAN NOELLE MUSIC NOW!